Enjoy Cycling are able to offer you this fantastic deal on the 2013 Giant TCR Advanced 2. This wonderful road bike from Giant usually retails at £1999.99p but Enjoy Cycling in association with Rutland Cycling can offer you £400 of the retail price making it only £1599.99p for the 2013 model. To buy follow this link to the 2013 Giant TCR Advanced 2 (£400 off) and quote the discount code TCR400. 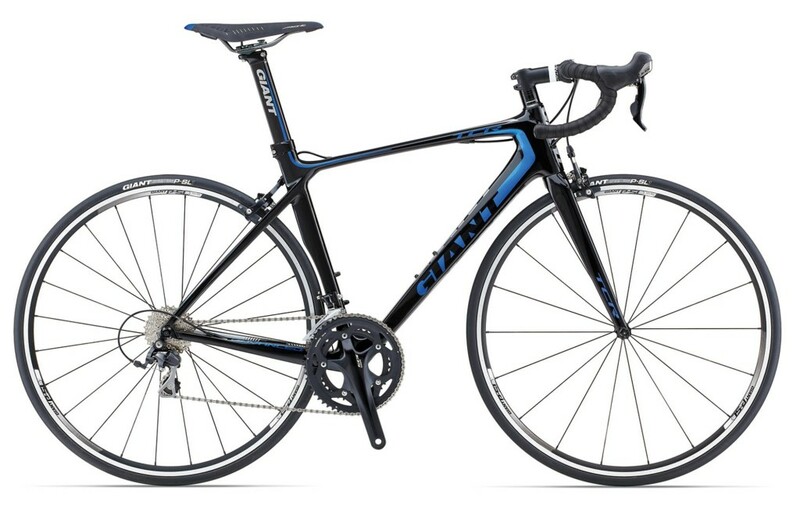 The 2013 Giant TCR Advanced 2 is a great handling road bike that offers a smooth ride. It comes with classic frame design that is compact and made from quality carbon materials. It a race bike of the highest pedigree and it is yours at a massive discount. The brilliant design of the TCR Advanced 2 once won the bike of the year shoot out by Cycling Plus and since then the machine has evolved. The 2013 model of the Giant TCR Advanced 2 has been updated since previous models in order to keep it up to date and in line with its peers. With its internal cable routing the machine looks slick and uncluttered. The bike comes with an overdrive 2 tapered steering fork and tapered head tubes that have become a regular addition to Giant race bikes. The compact look of the 2013 Giant TCR Advanced 2 is distinctive and offers an aero profile with weight distributed over the rear wheel. Componets include the full complement of Shimano 105 that ensures slick gear changes and brilliant stopping. The wheels can match many top name brands such as Mavic and the own brand tyres from Giant smooth and impressive. Overall the 2013 Giant TCR Advanced 2 is a quality machine that is a steel at this reduced price. We expect this offer to be popular so don’t delay and purchase today. For more details see the Bike Radar review.